And yet, email is still the go-to marketing channel for companies looking for a reliable, recurring ROI. This is not to say that email marketing hasn’t changed over time. Gone are the days of sending waves of identical promotional emails to random prospects with the hope that someone will open one. Using this kind of approach today is akin to sending the email straight to the prospect’s spam folder. Modern email marketing is instead based on the principle of data-driven personalization. The idea is straightforward – a prospect is more likely to open an email and take the desired CTA if it addresses his specific needs and desires. The main concern for email marketing then becomes finding relevant data about your target audience. Data-driven email marketing is precisely the process of acquiring and utilizing various kinds of user data in order to create highly effective email marketing campaigns. Adopting a data-driven approach in email marketing is not difficult, but it does require some initial setup. In order to help you get started with data-driven email marketing, we have prepared a primer on the topic which you can find in the rest of this post. Before you start using data-driven email marketing, you first need to come up with an email marketing plan. This document will serve as your guideline throughout the process. Begin by deciding on a set of goals you want to achieve through email marketing and think about how data can be used to reach them more effectively. For instance, if one of your goals is to improve customer retention, you would want to collect data concerning purchase frequency, products being sold and the average spend per purchase. Similarly, if you are seeking to optimize your email conversion rate, you would need to know how much information a customer needs to press the CTA button, the time it takes to reach a decision and your open rate. Next, you will want to segment your mailing lists into groups and set up your lists in accordance with the customer life-cycle. Arrange your subscribers into categories based on whether they’re a lead, an existing customer or a brand advocate. Later on, you will be modifying these initial lists based on new data as well as creating new ones as necessary. Finally, you should come up with a personalization plan that will work as a guideline for creating customized emails for each list. All parts of an email can be personalized – the only limitation is the amount of data you have on each prospect and your skill at creating templates. In general, you will at least want to personalize the subject line as well as the body of the email. After you define your data-driven email marketing goals, you should proceed to collect the appropriate kinds of data. There are various sources of data to consider as well as a variety of extraction methods. The usual starting point for data collection is your email service provider. The kinds of information you can find here includes data on who opens your email, the time they do it, the links they click on as well as their location. You can also find out if someone made a purchase, what they bought and when they did it. 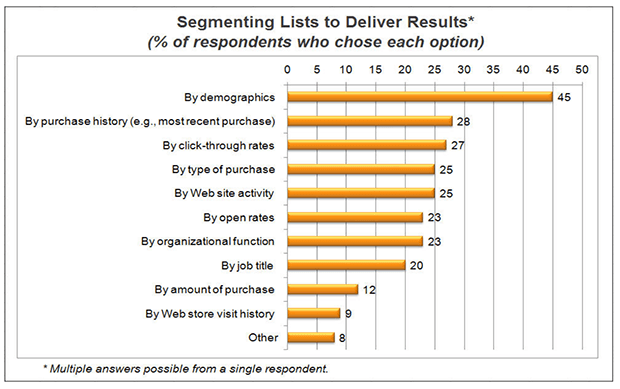 This data will serve as a starting point for segmenting prospects into lists. Google Analytics can be another valuable source of data. You will be able to find and learn a lot by collecting details about your website visitors including their location, the product pages they visited, whether they added products to a shopping cart and more. A more direct way to collect data would be to send out a survey through email or share one on social media. By doing this, you will be able to find out what your customers expect from your products and services, how much they are willing to pay and how they would rate their previous interactions with your brand if any.Finally, you can also leverage your internal data. Do this by integrating your sales CRM system with your email marketing platform of choice. This will help you build more detailed customer profiles making it easier to spot behavioral trends across both marketing and sales funnels. After you segment your lists, the next step is to create custom emails for each group. This will show your subscribers that you’re in tune with their needs and desires. Start by personalizing your email subject lines. Emails with personalized subject lines have a 26% better chance of getting viewed. Next, personalize the email body. Use the data you have gathered to decide which topics to cover and what tone to use. You can also try out different combinations of images and video to leverage current consumer preferences for these media formats. Once you are done segmenting, it is time to boot up your email automation platform, and start sending. Data-driven email marketing has the advantage of generating additional data in the form of success metrics the more you engage in it. And combined with the fact that data-driven email marketing scales with the amount and quality of data put into it, what you get is an engine that becomes more powerful the more you use it. There are three key performance indicators you should track for each of your campaigns. Open rate. This is the most basic type of data you should collect from emails. It provides clear information and you can test for it easily. All email platforms will provide this information by default. Your email open rate is directly tied to your email delivery rate. Indeed, the first challenge of email marketing is to have your emails reach the inbox. Click-through rate. The main goal of email marketing is to entice leads into following a link to your website and click-through rate is a measure of how good your emails are at inciting such behavior. Clicks that send leads to places other than your website aren’t very useful in contrast. Conversion rate. To track your email conversion rate, you will need to use two separate analytics systems. You will need to determine if a reader took your email CTA, and then find out if this leads to conversion on your website. Your conversion rate will tell you how many of your subscribers became customers which is the most valuable piece of information you can gather. Data-driven email marketing is an effective way to keep your subscribers engaged with your company. By creating customized, data-driven campaigns that appeal to each segment of your audience, your correspondents will be more likely to open emails, follow links to your website and eventually become paying customers. We hope that our guide has given you enough information to start leveraging data-driven email marketing for growth and profit. 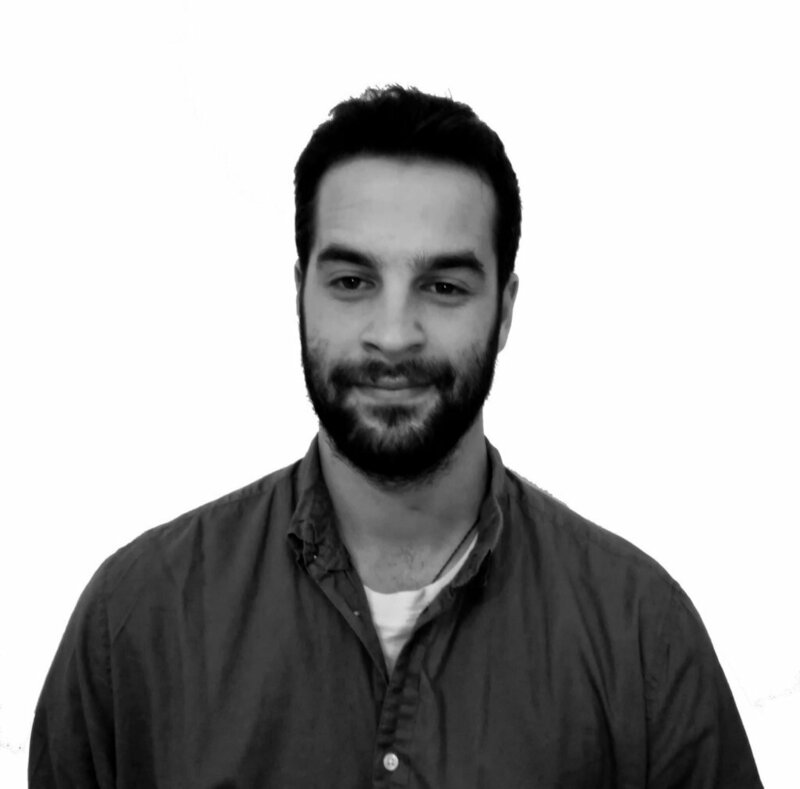 Daniel Bishop started off as a content consultant for small SEO and web design companies. Online consulting was perfect for him as he is very social and loves to travel. Settling down, for the time being, he finally found his place as a junior editor for ReallySimpleSystems. Always searching for new opportunities, he loves sharing ideas with other professionals in the digital community.